SONOSAX products range will be presented by our Japanese distributor TECH TRUST JAPAN Co Ltd during the next InterBEE exhibition on stand nr 1105. 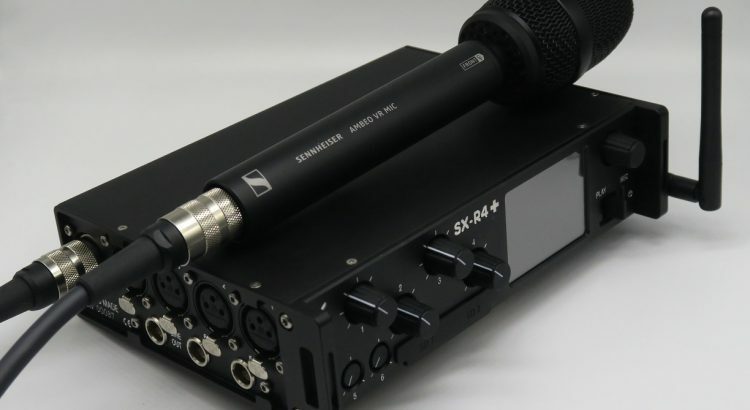 SONOSAX has officially joined the Sennheiser’s “AMBEO for VR “ partnership program with the SX-R4+ 16 tracks recorder during last IBC in Amsterdam. Following this agreement, a new firmware version of the SX-R4+ his being developed; it includes a real time A to B format conversion enabling simultaneous recording of the A and B formats – or B Format only – of the Sennheiser’s AMBEO VR mic. Both AMBIX and FUMA modes are supported. This new firmware has already been presented to the AES Convention in N.Y. last month and has raised great interest. No doubt it will be an eye catcher at the InterBEE too. An optional dedicated 12 pin connector is also available, enabling the AMBEO VR mic to be plugged directly onto the SX-R4+, thus eliminating the traditional 12 pin to 4 XLR audio split cables. This is a significant step to ease the life of VR content creators capturing 3D audio in the field. The SONOSAX SX AD8+ with its optional AVB interface will also be presented at InterBEE. The AVB interface allows a direc connection to any Apple Mac having a Thunderbolt port AVB capable by means of a simple RJ45 Ethernet cable. It has also been successfully tested on MacBook, of the latest generations by using an Apple Thunderbolt 3 to Thunderbolt 2 adapter.